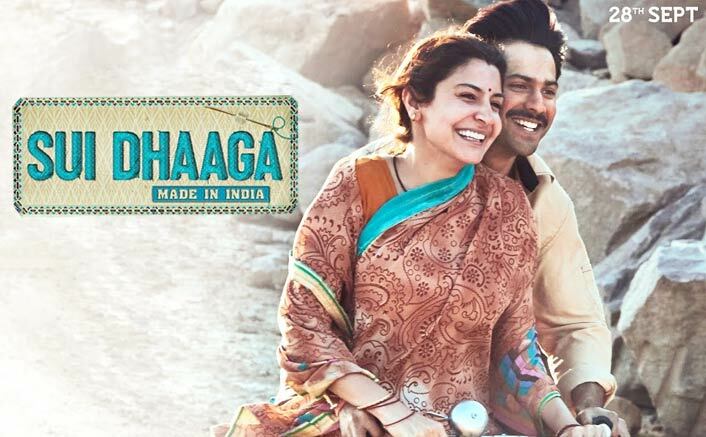 Sui Dhaaga Movie Review: Varun Dhawan Stitches Himself To The Term Of Superstar! 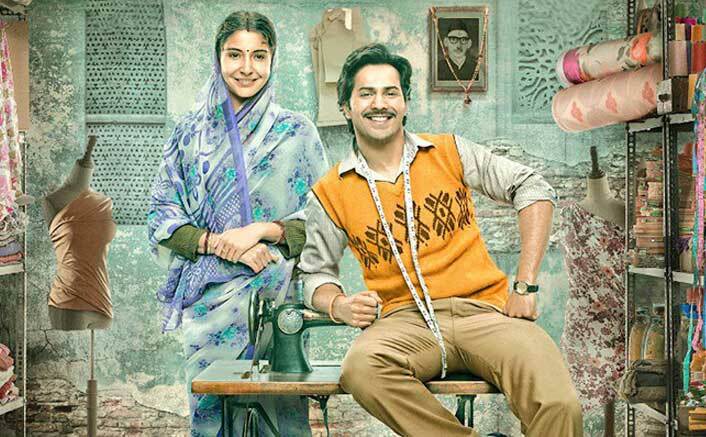 Sui Dhaaga – Made In India continues the franchise of ‘fulfil your dreams’ following the likes of Secret Superstar & PadMan. Mauji (Varun Dhawan) works at a sewing machine shop and is treated very badly by the owner. His wife Mamta goes against this and suggests Mauji to do something of his own. On his way to achieve the lost self-respect, Mauji decides to put up a sewing machine on a road and starts a new journey of his life. Tacking the tensions in the family, Mauji and Mamta somehow manage to keep their dream intact. Facing many hardships, there comes many struggles as Mauji and Mamta accept a job in a factory. Their work gets labelled by big fish in the market which brings them back to square one. Rest of the story narrates the ‘extraordinary’ fight of this ‘ordinary’ couple. Sharat Katariya’s script is the weakest point of all. Every frame had a chance to do much more but something falls short in each of them. Creating a setup as Shubh Mangal Saavdhan, it needed some hilarious dialogues as it but Sui Dhaaga fails on paper. Varun Dhawan’s exhilarating performance backed by the heart-warming touches to the story makes this a one-time watch. Knowing Shahrat Katariya, there were hopes because his last film Dum Laga Ke Haisha was a 24 Karat magic on screen. The struggle shown seemed artificial and doesn’t really strike the right chords. The pre-interval sequence and climax make up for the average screenplay throughout the film. Not as good as many movies seen in this template but also not bad enough to give it a miss. Varun Dhawan rocks as Mauji! With each of his film he’s moulding himself into an actor who can do anything. October was not long ago when he charmed us away without saying much. His ingenious presence, at most of the places, cover up the major flaws making your time worthy. Anushka Sharma goes a bit overboard as Mamta but I guess that’s what her character was about. Not her fault, Sharat should have added some layers to her character but instead she is left shallow for the major chunk. Raghuvir Yadav as Mauji’s father has couple of funny sequence but with an actor of that stature there was more expected of him. Yamini Das as Mauji’s mother remains a memorable takeaway for me. She’s as close to reality as it can get and a walking teddy-bear. Sharat Katariya levels up as a director but steps down when it comes to script. It’s directed well but roams around a lot of boring vicinities. The ‘Made In India’ campaign had a lot of scope to explore but Sharat instead focuses on the struggles of the couple. PadMan in the similar zone scores well for selling what they aimed at. Anu Malik’s music is good as songs work well with the story. Chaav Laga, Khatar Patar and Sui Dhaaga in the climax are placed perfectly and enhances the impact of those scenes. There is a moment where Varun Dhawan has a ‘Pursuit Of Happyness‘ moment in the climax and while writing the review I got to know the background music of the film is given by Andrea Guerra (The man who gave the BGM forPursuit Of Happyness). The background score is easily the second best thing after Varun Dhawan’s performance. All said and done, Sui Dhaaga – Made In India is a partly entertaining film with some heart-wrenching moments. Varun Dhawan stitches his performance with your hearts and it’ll be hard to undo it for a long time now. If only there could have been more humour! Sui Dhaaga Movie releases on 28th September, 2018. Previous articleVarun Dhawan – Katrina Kaif’s ABCD 3 Next To Go On Floors In January 2019 – Will Stick To Its Original Release Date!